Climate and weather in Javea, Spain. There are several days of sunshine registered in Javea than in any other place in Spain. Here we will take care of everything you need to know about weather, climate, temperature, rainfall, sunshine and much more in Javea. The weather and climate in Javea is excellent. Javea is a town on the Costa Blanca coast of Spain and has more than 2800 hours of sunshine every year with an annual average temperature of 19.3 degrees Celsius. As the weather and the climate of Javea are so favorable, Javea has become a popular tourist destination for sun lovers with about 325 sunny days each year. Although many areas in Spain often become a victim of the relentless summer sun, Javea is world renowned for its mild climate all year round. 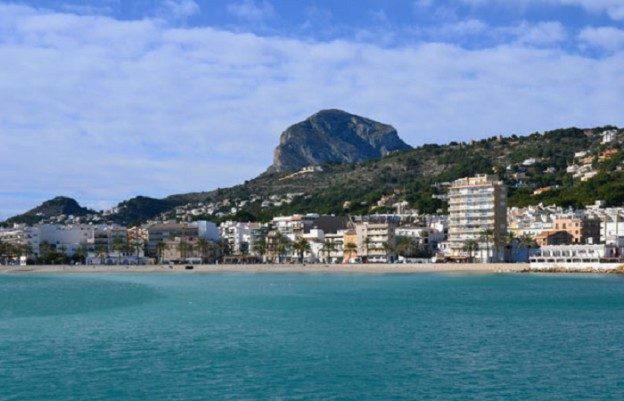 The World Health Organization has recognized Javea to have one of the best climates in the world. Summer is neither too hot nor too cold, and the same can be said about the rest of the seasons. Not only is the climate usually sunny and mild, low humidity means that even the hottest days are very nice. People who suffer from asthma and allergy will also feel better in this healthy, almost perfect climate. Nestled between hills and mountains in the Alicante province, Javea is an area of ​​the Spanish coast which is well protected from tough weather. As a result of the southern coast many salt lakes, the moisture in Javea is quite low compared to the rest of Spain and Europe. This means that even on the warmest summer days, the heat is a dry and much more tolerable during the daytime. The summer is not too hot in Javea and the winters are not too cold. The weather for summer in Javea is usually very hot with little or no precipitation. The summer temperatures in Javea will mostly be between 25 degrees Celsius to 35 degrees Celsius during the day. Temperatures at night in the summer of Javea will rarely fall below 15 degrees Celsius. Because the humidity is low, you will not feel the temperature is as high as it really is. Always use high sunscreen factor, especially if you are on one of Javea’s beaches. Fortunately, on most days you will be cooled by the ocean breeze. 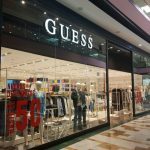 Autumn is a good time to visit Javea and the rest of the Costa Blanca because the autumn weather is usually mild and sunny. There is a chance of some precipitation. The Mediterranean is warm and you can still swim far into October. In the fall it is likely to be occasional electrical thunder with lightning and violent rain that sometimes results in a flood. 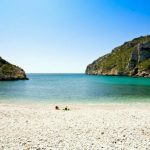 Weather and climate in spring in Javea will be significantly better after March when the beaches begin to become popular again. There is a chance of precipitation, but the days are often clear and sunny, although evenings may still be quite cold before we enter May. Sea temperatures remain cold until May. The weather in Javea in winter is very mild compared to northern Europe. Most winter days in Javea are clear and sunny with a little rainfall. The temperatures are unpredictable and can vary greatly in winter. One day it can be over 20 degrees Celsius and you want to wander around in a t-shirt, another day it can be 6 degrees Celsius and you feel very cold. Even though winter is not much in Javea, except when Javea experiences a “Gota Fria” – this happens when the temperature suddenly falls, resulting in incredibly violent rain and flood. Gota Free also creates large waves and high tides that often destroy the beaches of Javea. August is the hottest month in Javea with an average temperature of 26 ° C (79 ° F) and the coldest is January at 12 ° C (54 ° F) with 12 daily sun hours in July. The wetest month is October with an average of 62.8mm rain. The best month to swim in the ocean is in August, when the average sea temperature is 26 ° C (78 ° F). In January, the weather in Javea is usually cold, but sometimes mild with an average monthly temperature of 11 degrees Celsius. There is little precipitation in January, but the nights are cold and sometimes close to freezing. The average sea temperature in January for Javea is 14 degrees Celsius and too cold for most to consider swimming. Climate and weather for Javea in Spain in January month. Explanation of the climate map in Javea can be found at the bottom of the overview. In February, the weather in Javea is usually cold but sometimes mild and hot with an average monthly temperature of 12 degrees Celsius. The chance of precipitation increases in February and the nights are cold. The average sea temperature in February for Javea is 14 degrees Celsius and too cold for most to consider swimming. Climate and weather for Javea in Spain in February month. Explanation of the climate map in Javea can be found at the bottom of the overview. In March, the weather in Javea is usually mild with many nice sunny days with an average monthly temperature of 14 degrees Celsius. The chance of rain is still quite high and the nights are still cold. The average sea temperature in March for Javea is 14 degrees Celsius and too cold for most to consider swimming. Climate and weather for Javea in Spain in March. Explanation of the climate map in Javea can be found at the bottom of the overview. In April, the weather in Javea is usually warm with many nice warm sunny days with an average monthly temperature of 16 degrees Celsius. The chance of precipitation decreases even though the nights are still cold. The average sea temperature in April for Javea is 15 degrees Celsius, and it is still too cold to consider bathing. Climate and weather for Javea in Spain in April month. Explanation of the climate map in Javea can be found at the bottom of the overview. 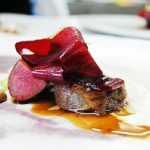 In May, the weather in Javea is beautiful with many hot and sunny days with a very pleasant average monthly temperature of 20 degrees Celsius. Expect a little chance of rain, the nights are now hot. The average sea temperature in May for Javea is 17 degrees Celsius as many people start diving in the sea to swim. Climate and weather for Javea in Spain in May month. Explanation of the climate map in Javea can be found at the bottom of the overview. 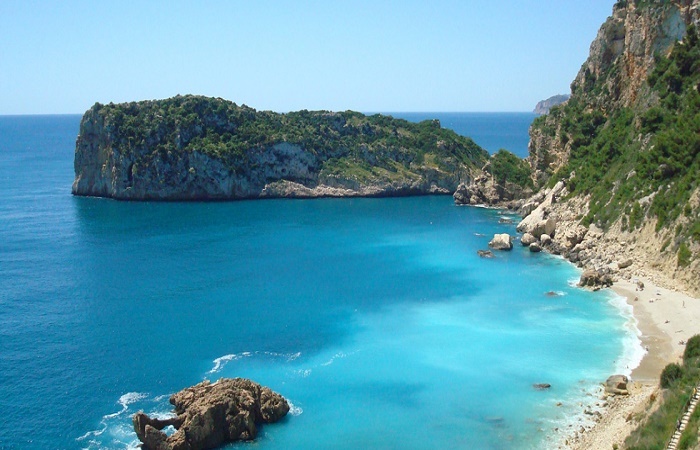 The average temperature for June in Javea is 23 degrees Celsius. Typical June weather in Javea is excellent as the days are sunny and not yet too hot (compared to July and August). The sea temperature in June for Javea is nice, warm at 20 degrees Celsius. Climate and weather for Javea in Spain in June month. Explanation of the climate map in Javea can be found at the bottom of the overview. Perhaps the best month to visit Javea since July has the most sunshine and minimum rainfall throughout the year. The average temperature for July in Javea is a very hot 26 degrees Celsius. The typical July weather in Javea is clear and sunny days, and quite hot evenings and almost no precipitation. The sea temperature in July for Javea is very hot at 24 degrees Celsius. Climate and weather for Javea in Spain in July. Explanation of the climate map in Javea can be found at the bottom of the overview. In August, the weather in Javea can be almost unbearably hot with a few days up to 40 degrees Celsius or more. The average temperature for August in Javea is 27 degrees Celsius. Clear and sunny with no precipitation and warm evenings. The sea temperature in August for Javea is a very hot with 25 degrees Celsius. Climate and weather for Javea in Spain in August. Explanation of the climate map in Javea can be found at the bottom of the overview. In September the Javea weather is excellent because many of the tourists have left yet the temperature is still high with an average monthly temperature of 24 degrees Celsius. Typical September weather in Javea is clear and sunny with perhaps some rainfall in the form of short showers. To dress for the weather september in general there are still T-shirts and shorts although bring some jeans and long pants in the case of the evening. The sea temperature in September for Javea is a very nice 24 degrees Celsius, perfect for swimming. Climate and weather for Javea in Spain in September month. Explanation of the climate map in Javea can be found at the bottom of the overview. In October, the weather is often hot and sunny with an average monthly temperature descending to 21 degrees Celsius. October is usually the wettest month of Javea. The surface temperature in October for Javea is 21 degrees Celsius, which for most is hot enough to swim. Climate and weather for Javea in Spain in October month. Explanation of the climate map in Javea can be found at the bottom of the overview. In November Javea’s weather is changing but often quite hot and usually sunny with an average monthly temperature of 15 degrees Celsius, although there is always a chance of precipitation. The average sea temperature in November for Javea is 18 degrees Celsius which is at a point where most people would not bathe. Climate and weather for Javea in Spain in November month. Explanation of the climate map in Javea can be found at the bottom of the overview. In December, the weather in Javea is changing, sometimes hot, but often cool during the day with an average monthly temperature of 12 degrees Celsius. There is little precipitation in December, but the nights are cold. The average sea temperature in December for Javea is 15 degrees Celsius, and too cold for most to consider swimming. Climate and weather for Javea in Spain in December month. Explanation of the climate map in Javea can be found at the bottom of the overview. Minimum Temperature = Average lowest temperature in the years 2003-2012. The temperature may sometimes be higher or lower. Maximum temperature = Average maximum temperature for the years 2003-2012. The temperature may sometimes be higher or lower. Water Temperature = Average water temperature in recent years. Temperature may be sometimes below or above this value. On shallow beaches, the temperature will be higher in summer. Sun hours = Average number of sun hours per day. Probability of rain = The average daily likelihood of rain. Humidity = Average humidity. Depending on actual wind and solar amount, the value may be higher or lower. Do you need a rental car for your holiday in Javea? You can check the prices of all the major car hire companies in Spain using the form below. All in one simple search. This entry was posted in Javea and tagged climate, costa blanca, javea, spania, weather, xabia on 5. November 2017 by Admin.